At the display from Waterloo Gardens in Exton, PA, the lush, springtime plants of crabapple trees, azaleans, rhododendrons and beds are meant to evoke your inner child and the backyard adventures of our youth. The designers put an emphasis on the fundamentals of garden design, including proportion, balance, rhythm and movement. 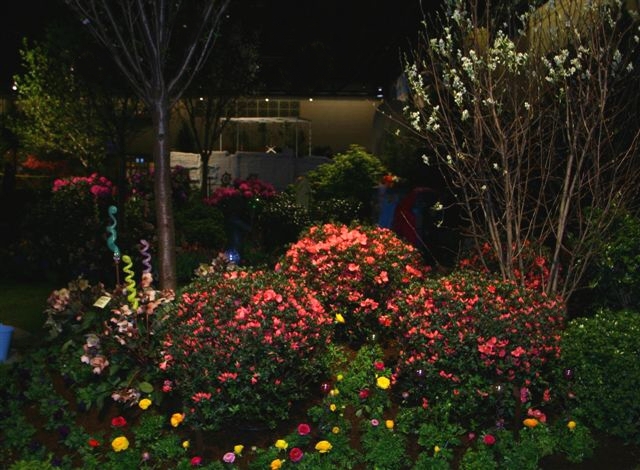 This entry was posted on March 7, 2010 at 1:12 am and is filed under 2010 Flower Show - Passport to the World, Attractions, Garden Displays, Gardening & Horticulture. You can follow any responses to this entry through the RSS 2.0 feed. You can leave a response, or trackback from your own site.